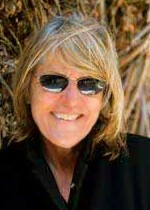 Jane Miller (Spring 2017, Spring 2016 poetry workshops) has been on the creative writing faculty of the University of Arizona in Tucson since 1987 and is the author of the poetry volumes Thunderbird, A Palace of Pearls, Wherever You Lay Your Head, Memory at These Speeds: New & Selected Poems, August Zero, and American Odalisque, all from Copper Canyon Press. Her honors include fellowships from the NEA and the Guggenheim Foundation, and she serves as advisor and jurist to numerous distinguished national book and poetry prizes. Sherry Kramer (Spring 2017), who has taught for MCW seven times since 1998, is an alumnae of the Iowa Writers’ Workshop and former acting head of their playwriting workshop. Her plays include The Law Makes Evening Fall, Things That Break, David’s Redhaired Death, What a Man Weighs, The Wall of Water, The World at Absolute Zero, The Mad Master, and When Something Wonderful Ends. Her work has been recognized with a McKnight Fellowship, the Jane Chambers Playwriting Award, the Arnold Weissberger Playwriting Award, and fellowships from the NEA, among other honors. 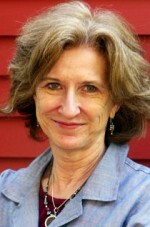 She is on the permanent faculty of Bennington College and divides her time between Vermont and in New York City. 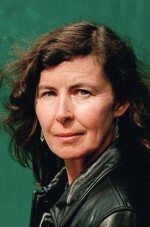 Novelist Margot Livesey was in residence during February 2017 as the Michener Residency Author, teaching a short intensive craft course and holding manuscript conferences. 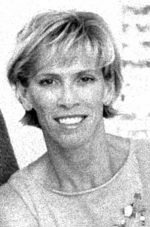 She is the author of six novels: Homework, Criminals, The Missing World, Eva Moves the Furniture, Banishing Verona and The House on Fortune Street. Her many honors include fellowships from the Guggenheim and NEA and a recent L.L. Winship/PEN New England Award for fiction. A native of Scotland who has taught at Boston University, Carnegie Mellon, the Iowa Writers’ Workshops, and UC Irvine, among others, she lives in Cambridge and is distinguished writer in residence at Emerson College. 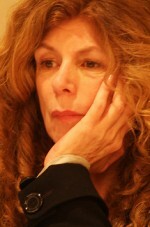 She was MCW Residency Author in 2011, as well. Ben Fountain (Fall 2016 fiction workshop) is the National Book Award finalist and National Book Critics Circle Award winner for the 2012 novel Billy Lynn’s Long Halftime Walk. His 2006 debut story collection, Brief Encounters with Che Guevara, won the PEN/Hemingway award. Billy Lynn is currently being brought to screen in a film by Ang Lee, slated for Fall 2016 release. 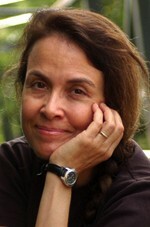 Naomi Shihab Nye (Fall 2016, Fall 2014, Fall 2013) is the author of over thirty books of poetry, prose and literature for young adults, including 19 Varieties of Gazelle: Poems of the Middle East, Red Suitcase, Habibi, Words Under the Words, Fuel, This Same Sky, You & Yours, Mint Snowball, and, most recently, Transfer and There Is No Long Distance Now. 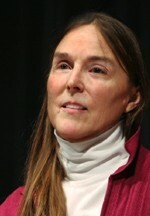 A former Lannan Fellow, a Guggenheim Fellow, and a Witter Bynner Fellow (Library of Congress), she has received a Lavan Award from the Academy of American Poets, the Isabella Gardner Poetry Award, the Lee Bennett Hopkins Poetry Award, the Paterson Poetry Prize, four Pushcart Prizes, and numerous honors for her children’s literature. She has taught for MCW over half a dozen times since 1995. Geoff Dyer (Fall 2016, Spring 2015) is the author of four novels (Paris Trance; The Search;The Colour of Memory; Jeff in Venice, Death in Varanasi); two collections of essays (Anglo-English Attitudes, Working the Room); and six genre-defying titles (But Beautiful, The Missing of the Somme, Out of Sheer Rage, Yoga For People Who Can’t Be Bothered To Do It, The Ongoing Moment, Zona). A collection of essays, Otherwise Known as the Human Condition, won the National Book Critics Circle Award for Criticism. His most recent book is White Sands. He will teach a reading course in literary non-fiction. 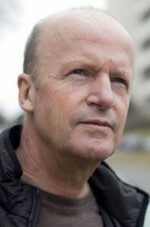 English author Jim Crace (Fall 2015, 2012, Fall 2009) has thrice been shortlisted for the distinguished Booker Prize in Fiction, for Quarantine, Being Dead (which also received the National Book Critics’ Circle Award in the U.S. and the Whitbread Novel Award in the U.K.), and Harvest. Recipient of the E.M. Forster Award of the American Academy of Arts and Letters, his other novels include All That Follows, The Pesthouse, Signals of Distress, The Gift of Stones, and Continent. He also held the Michener Residency Award in Spring 2008, during which he was in residence for three weeks conducting an intensive workshop. Anthony Giardina (Fall 2015, 2012, 2009, 2006, 2003, 2000) has authored four novels—Norumbega Park, Men With Debts, A Boy’s Pretensions, Recent History and White Guys—and a collection of short stories, The Country of Marriage, and is a regular contributor of essays and short fiction for GQ, Harper’s, Esquire and The New York Times Magazine. 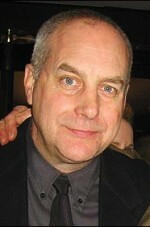 His plays—Living at Home, An American Tragedy, The Child, Scenes from La Vie de Boheme, The Beach, Black Forest, Custody of the Eyes, and most recently City of Conversation—have been produced in New York at Playwrights Horizons, Manhattan Theater Club, and Lincoln Center, and regionally at Arena Stage in Washington, D.C., Seattle Rep, Yale Rep, the Long Wharf in New Haven and the Cleveland Playhouse. Michael McGriff (Spring 2015, Fall 2013), a distinguished alum of the MCW, is the author of two volumes of his own poetry, Dismantling the Hills, winner of the 2007 Agnes Lynch Starrett Poetry Prize of the University of Pittsburgh Press, and Home Burial, published by Copper Canyon Press in 2012. He has also edited the collected works of his former UT professor and mentor David Wevill, To Build My Shadow a Fire (Truman State Univ Press, 2009), and translated the work of Swedish poet Tomas Tranströmer, The Sorrow Gondola (Green Integer, 2009. His many honors include the Ruth Lilly Fellowship, a Stegner Fellowship and Jones Lectureship from Stanford University, a 2010 Lannan Foundation Fellowship, and support from the National Arts Endowment. His newest book is a collaboration with J.M. Tyree, Our Secret Life in the Movies, from A Strange Object. 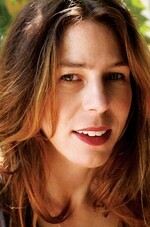 Rachel Kushner is the Fall 2014 Michener Residency Author for two weeks in September. Kushner’s second novel, The Flamethrowers, was a finalist for the 2013 National Book Award, shortlisted for the 2014 Folio Prize, and a New York Times bestseller and Top 10 Book. Her debut, Telex from Cuba, was a finalist for the 2008 National Book Award, as well. 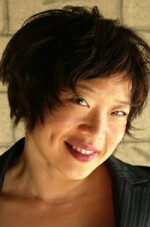 She is the recipient of a 2013 Guggenheim Fellowship. Cristina García (Fall 2014, Fall 2010) is the author of six novels: Dreaming in Cuban, The Agüero Sisters, Monkey Hunting, A Handbook to Luck, The Lady Matador’s Hotel, and The King of Cuba. She is the recipient of a Guggenheim Fellowship, a Hodder Fellowship at Princeton University, a Whiting Writers’ Award, and a grant from the NEA, among other honors. She will teach a fiction workshop. Poet D.A. Powell will be at UT in late January and early February 2014 as Michener Residency Author, working in seminar with MCW poets. His books include the AIDS trilogy Tea, Lunch, and Cocktails; Chronic; and The Useless Landscape, or a Guide to Boys. 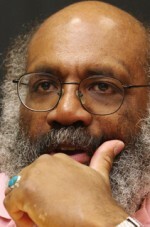 His honors and awards include the Kingsley Tufts Poetry Award, the Lyric Poetry Award from the Poetry Society of America, and the National Book Critics Circle Award in 2013, as well as support from the Guggenheim Foundation, the NEA, and others. 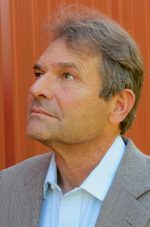 Denis Johnson was the author of the novels Train Dreams, Tree of Smoke, The Name of the World, Already Dead, Resuscitation of a Hanged Man, The Stars at Noon, Fiskadoro, and Angels, and the story collection Jesus’ Son. 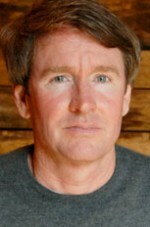 His fiction and essays have appeared in Esquire, Rolling Stone, The New Yorker, Paris Review and The Atlantic Monthly. Brigit Pegeen Kelly’s (Spring 2014, Spring 2012, Spring 2010) books of poetry include To the Place of Trumpets, chosen for the Yale Series of Younger Poets in 1987 by James Merrill; Song, winner of the 1994 Lamont Poetry Prize; and The Orchard, a finalist for the 2004 Pulitzer Prize. Among her many honors is the 2008 Academy of American Poets Fellowship for distinguished achievement. She was on the permanent faculty of the University of Illinois at Urbana-Champaign where she was recognized for excellence in teaching. 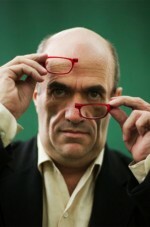 Irish writer Colm Toibin (Fall 2013 residency, visiting prof Spring 2006) is the author of The Master and The Blackwater Lightship—both shortlisted for the Mann Booker Prize in Fiction—Brooklyn, winner of the Costa Award for the Novel, and The Empty Family. His other works of fiction include The South, The Heather Blazing, and The Story of the Night. 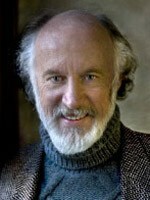 He is a widely read journalist in his native Ireland and a prolific traveler and essayist, and playwright, as well. His nonfiction titles include Lady Gregory’s Toothbrush and Love in a Dark Time: And Other Explorations of Gay Lives and Literature. He lives in Dublin. He will conduct a two-week residency in fiction craft in September 2013. 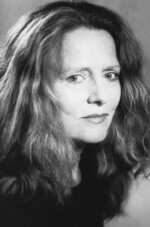 Poet Linda Gregg (Spring 2013) is recognized as one of the finest lyric poets of our time, and with eight books of poetry to date, she has received such honors as the 2009 Jackson Poetry Prize, a 2006 PEN/Voelker Award, fellowships from the NEA and Guggenheim, a Whiting Writers Award, a 2003 Lannan Literary Fellowship and numerous Pushcart Prizes. Her poetry books include In the Middle Distance, Things and Flesh, Chosen by the Lion, The Sacrament of Desire, Alma and Too Bright to See, all from Graywolf Press. Allan Gurganus(Spring 2012 Residency) is the author of the novels Oldest Living Confederate Widow Tells All, winner of the Sue Kaufman Prize from the American Academy of Arts and Letters, and Plays Well with Others. His stories and novellas have been collected in White People and The Practical Heart, winner of a Lambda Literary Award. Honored by the O.Henry Prize, a Guggenheim Fellowship, and the Los Angeles Times Book Award, among other kudos, he lives in North Carolina and has taught frequently at the Iowa Writers’ Workshop. Distinguished MCW alum Joseph Skibell (Fall 2011) is professor of English at Emory University and the author of three acclaimed novels: A Blessing on the Moon, winner of the Richard and Hinda Rosenthal Foundation award of the Academy of Arts and Letters; The English Disease; and A Curable Romantic, winner of the 2011 Sami Rohr Choice Award for Jewish literature. He recently published two essay collections: My Father’s Guitar and Other Imaginary Things and Six Memos from the Last Millennium: A Novelist Reads the Talmud.His work has been widely anthologized and his short stories and essays have appeared in Story, Tikkun, The New York Times, Poets & Writers and other periodicals. 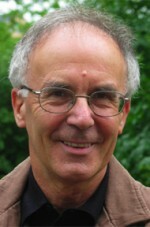 Tomaž Šalamun (Spring 2011) is the author of over thirty books of poetry in Slovenian and English. The most recent translations of his work include The Book for My Brother, Poker, Row, and Woods and Chalices. He is considered one of the foremost Eastern European poets of the political avant-garde. 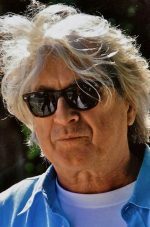 He has won the Jenko Prize, Slovenia’s Prešeren and Mladost Prizes, and a Pushcart Prize, and his poetry has been widely anthologized and translated into more than 20 languages. 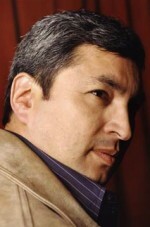 Octavio Solis (Spring 2011) is a playwright and director whose widely-produced works include Man of the Flesh, Prospect, The Seven Visions of Encarnacion, Bethlehem, Burning Dreams, and Lydia. 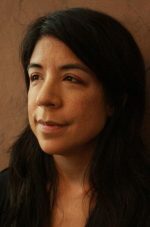 Solis has received NEA Playwriting and McKnight Fellowships, a National Theatre Artists Residency, the Roger L. Stevens Award from the Kennedy Center, the Will Glickman Playwrights Award, a Kennedy Center Fund for New American Plays Grant, a TCG/NEA Theatre Artists in Residence Grant and a grant from the Pew Charitable Trust. 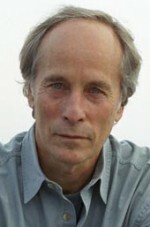 Richard Ford was Michener Residency Author for Spring 2010 and held a three-week master class in fiction with MFA candidates. He is the Pulitzer Prize-winning author of six novels and three story collections, among them Independence Day, Rock Springs, The Sportswriter, Women with Men, Wildlife and The Lay of the Land. 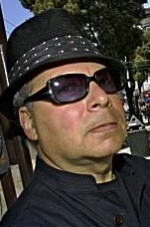 Poet C.D. 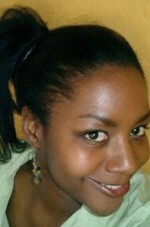 Wright was the Michener Residency Author in Fall 2009 and held a two-week workshop for poets in the MFA program. Wright’s many honors include a MacArthur “genius” grant, a Lannan Literary Award, fellowships from the NEA and the Guggenheim Foundation, and the 2009 Griffin Poetry International Prize for Rising, Falling, Hovering. She has published over a dozen other collections of poetry and prose, including Steal Away, Deepstep Come Shining, String Light, and One Big Self. 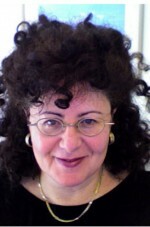 She is the Israel J. Kapstein Professor of English at Brown University. Marie Howe’s first collection, The Good Thief, was chosen for the National Poetry Series. Her second book What the Living Do was named one of the five best books of poetry published in 1997 by Publishers Weekly. Her latest collection is The Kingdom of Ordinary Time. 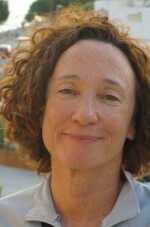 She has taught for the MCW in 2004 and in 2008. Peter Carey was Michener Residency Author in Spring 2009, which brought him to campus for three weeks to conduct a short workshop with MFA candidates. 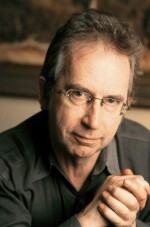 Carey, a native of Australia, has twice won the Booker Prize in fiction, for Oscar and Lucinda and for True History of the Kelly Gang. His newest novel is Parrot and Olivier in America. He directs the MFA program at Hunter College in New York, where he lives. ZZ Packer (Fall 2008) is the author of the story collection Drinking Coffee Elsewhere, a finalist for the PEN/Faulkner Award and a New York Times Notable Book of 2003. A graduate of Yale (B.A. ), Johns Hopkins (M.A.) and the Iowa Writers’ Workshop (M.F.A. 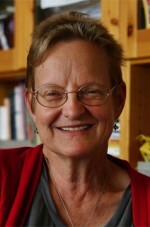 ), she was also a Stegner fellow at Stanford University. Her work has been recognized with a Guggenheim fellowship, the Whiting Award, and by inclusion in the Best American Short Stories 2000. Fiction writer Antonya Nelson (Fall 2007) is the author of the short story collections Some Fun, Female Trouble, Family Terrorists, In the Land of Men, and The Expendables and the novels Living to Tell, Nobody’s Girl, and Talking in Bed. Her work has been recognized with the Flannery O’Connor Award for Short Fiction, the Heartland Award for Fiction, NEA and Guggenheim fellowships, and the Rea Award for the Short Story. Antonya is on the creative writing faculty of New Mexico State and shares the Cullen Chair in Creative Writing at the University of Houston with her husband, writer Robert Boswell. 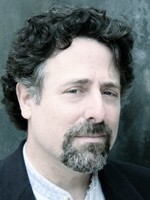 August Kleinzahler (1999, 2006) has published nine volumes of poetry, including Storm Over Hackensack, Earthquake Weather, Red Sauce Whiskey and Snow, Green Sees Things in Waves, Live from the Hong Kong Nile Club, and The Strange Hours Travelers Keep, recognized with the 2004 Griffin Poetry Prize. 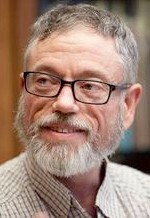 His newest volume, Sleeping it Off in Rapid City, won the National Book Circle Critics’ Award. 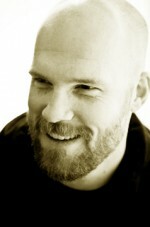 In 2009 he received the Lannan Foundation Fellowship. He is also the author of the collected essays, Cutty, One Rock. John Dufresne‘s (Fall 2005) published fiction includes the novels Louisiana Power and Light and Love Warps the Mind A Little (both New York Times’ Notable Books of the Year) and Deep in the Shade of Paradise, and the story collections The Way That Water Enters Stone and Johnny Too Bad. His stories have recently appeared in Shenandoah, Triquarterly, Mississippi Review, and New Stories From the South 2003, The Best Of. 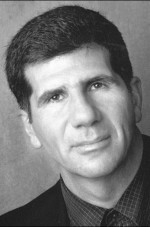 A poet and playwright, as well, he is on the permanent faculty of Florida International University. Joy Williams (2001, 2004) is the author of the novels Breaking and Entering, State of Grace, and The Quick and the Dead, and of the story collections Taking Care, Escapes, and Honored Guest. Former recipient of the distinguished Strauss Living Award, Williams frequently publishes stories and essays in such publications as Esquire, The Paris Review, and The New Yorker. 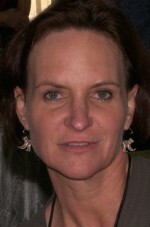 Anne Rapp’s (1998, 2004) first produced feature, Cookie’s Fortune, directed by Robert Altman, opened the 1999 Sundance Film Festival and was nominated for both an Independent Spirit Award and an Edgar Allan Poe Award. Her second feature, Dr T and the Women, was also directed by Altman. David Bradley’s (2000, 2002) The Chaneysville Incident won the Academy Award of the American Academy and Institute of Arts and Letters, as well as a PEN/Faulkner Award and a nomination for the American Book Award. His other work includes the novel South Street, as well as texts, essays, and anthologies on American and African-American literature and culture. Naomi Iizuka’s (2002) plays include 36 Views, Language of Angels, War of the World, Polaroid Stories, Tattoo Girl, and Skin. Her work has been produced by Berkeley Rep, Campo Santo + Intersection in San Francisco, Actors’ Theatre of Louisville, the Dallas Theatre Center and Undermain in Dallas, Frontera @ HydePark in Austin, Annex in Seattle, and the Brooklyn Academy of Music and Soho Rep in New York. Iizuka is the recipient of a Whiting Award and Princeton University’s Hodder Fellowship, among other honors. Heather McHugh (2002) is the author of Father of the Predicaments, Hinge & Sign: Poems 1968-1993 (National Book Award finalist), Shades, To the Quick, A World of Difference, and Dangers. She is also the author of Broken English: Poetry and Partiality (1993) and noted translations of Paul Celan, Blaga Dimitrova, and Jean Follain. Her honors include fellowships and grants from the Guggenheim and NEA, the distinguished Griffin Poetry Prize, and a MacArthur Fellowship. Lee Blessing (2000) is a Pulitzer Prize and Tony Award nominee and author of the plays A Walk in the Woods, Thief River, Cobb, Eleemosynary, Chesapeake, and Going to St. Ives. Blessing’s TNT film Cooperstown won the Humanitas Prize, and he has written episodes for network series, as well as projects for Showtime, Hallmark, Fox-TV and HBO.